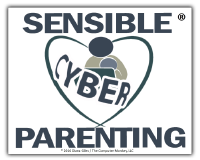 The Sensible Cyber Parenting® website offers parents a resource where they can find the information they need to protect their kids from the extremely harmful aspects of the Internet while allowing their family to use what can be a great resource in a safe and sensible way. Wading through all of the data about online threats and parental controls can be confusing and time-consuming. SCP wants to simplify that process by providing access to the most sensible and effective protection options as well as information about the dangers kids can encounter on their online devices. Any control or monitoring product recommendations are solely based on the performance and effectiveness of the product and are subject to change because new products and services are continually being developed. Diana has a bachelor’s in business administration and a master’s in telecommunications management from Oklahoma State University. She lives in Edmond with her husband and two sons. She has worked in the field of information technology since 1993. While completing her master’s degree she served as a full-time faculty member at OSU’s Oklahoma City campus, where she taught LAN fundamentals, Telecommunications and UNIX. 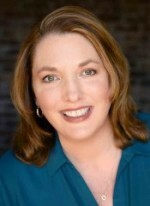 Since 2005, she has been the owner/operator of The Computer Monkey, LLC. Diana has been burdened by the stories she continues to hear about the negative impact the internet has had on our families. In response, she has developed Sensible Cyber Parenting® to give encouragement and help to parents for this great challenge they face. Contact SCP to find out more information, schedule Diana as a speaker or host a seminar.